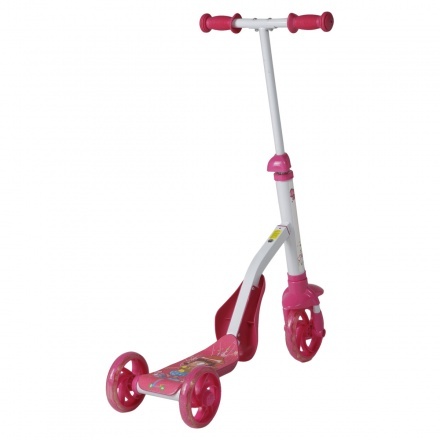 Juniors Printed Scooter | Pink | It has a stable footboard with a metal frame. 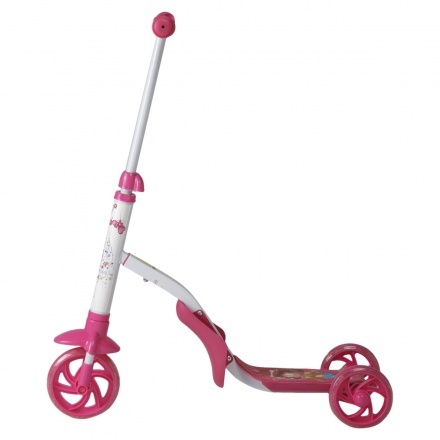 Fun to ride and durable, this scooter will become your little ones favourite play time buddy. 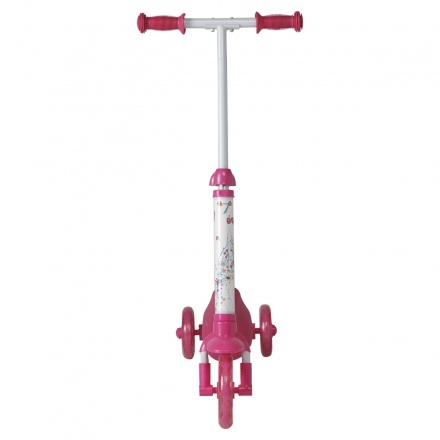 Featuring a handle with grips, this scooter has smooth wheels and is easy to ride. 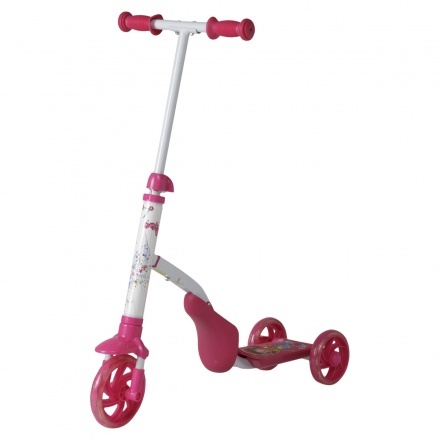 Feature 1 : It has a stable footboard with a metal frame. Feature 3 : It is height-adjustable and can carry up to 25kgs. Feature 2 : It has 2 rear wheels and 1 in the front for easy mobility.